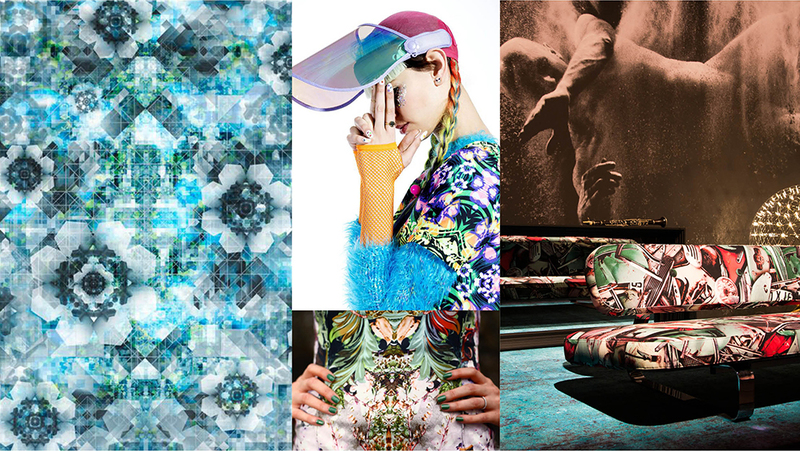 Print is hot : in Milan I saw a lot of printed textiles, but also print on wood and other materials. For example, Piet Hein Eek designed crisis stools with images directly printed on the wood.In textile we can see two major trends : kaleidoscopic prints but also many whispy, in color overflowing prints. 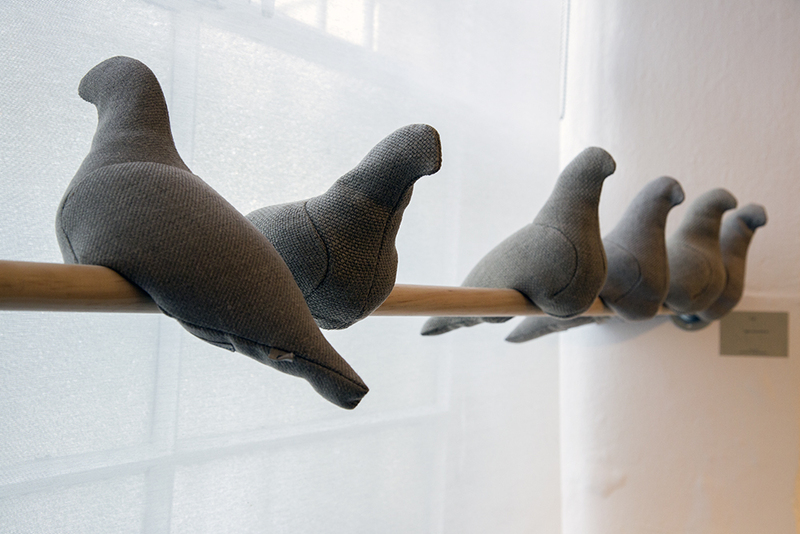 Printed material is used on large surfaces, so for example on the couch, carpet or curtains. 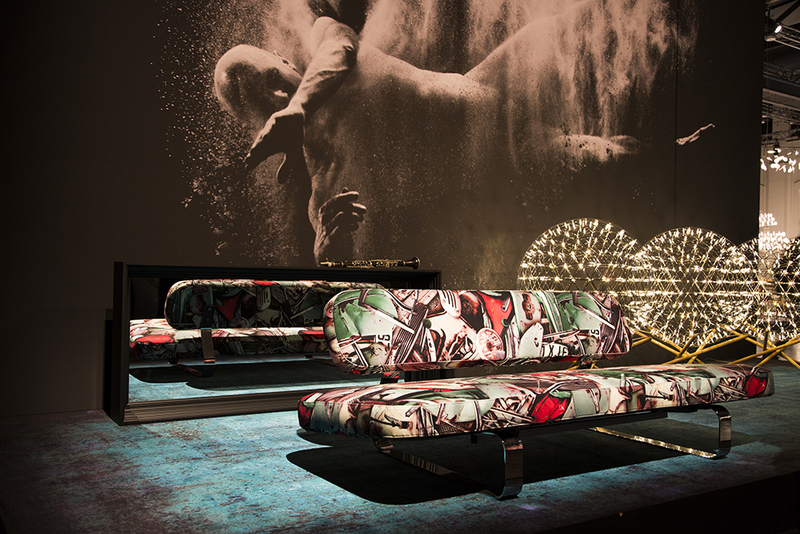 Many kaleidoscopic prints in Milan, for example in the Moooi presentation, but also in fashion and in art this trend is visible. Recently I came across a real life big kaleidoscopic origami dome in Sydney. A a contrast to the kaleidoscopic prints I see many soft, watercolour prints. Mainly in fashion and in curtain fabrics. 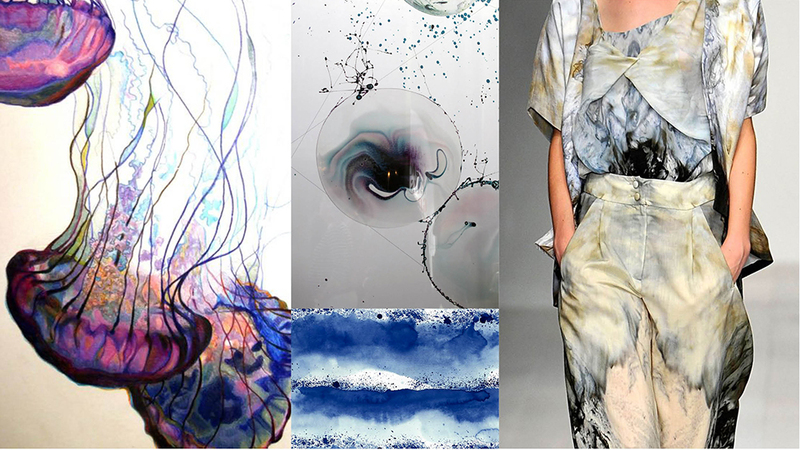 Nature is a clear inspiration for these prints. If you like this take a look at the work of Studio Sybrandy: Powers of soap, Ebullience and recent work Bubblewrap fit this trend very well. 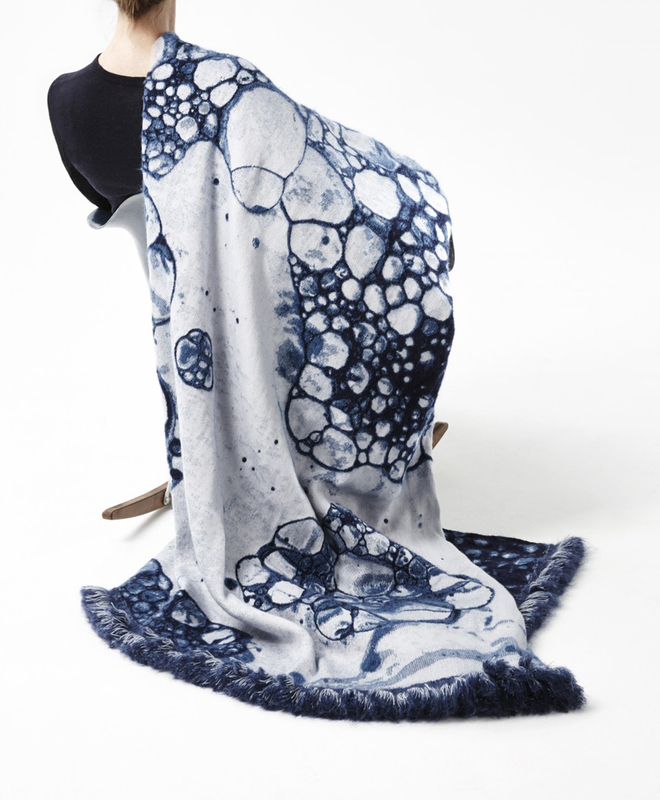 This blanket isolates you from the bustling and accelerated outside, evoking a sense of being wrapped in bubbles, where time stops and noise is muted.